is a timeless look at the seasonal beauty of Northern Vermont. Follow author/photographer Orah Moore on a journey through winter, sugaring, spring, summer autumn and back into winter once again. 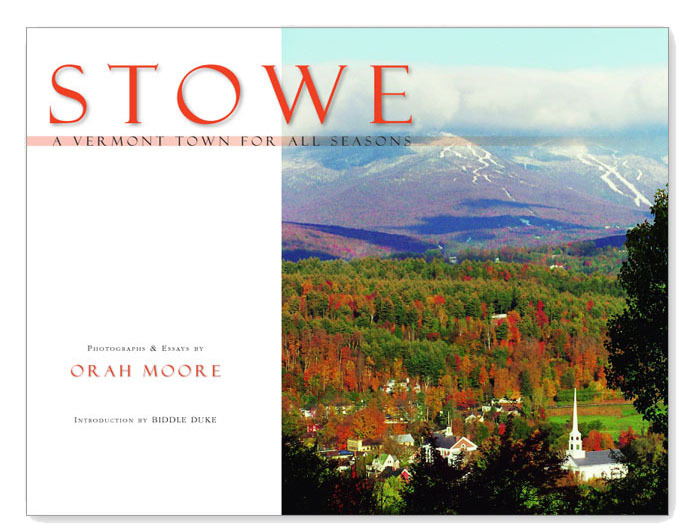 This gem of a coffee table book is just waiting to travel to your home… or perhaps as a gift to the home of a former Vermonter who would love to be reminded of the magical place called Stowe.